Megan and Ryan are SO adorable, and they are absolutely tailor-made for each other. Their “how they met” story pretty much proves it. Waaaay back in 2007, out of all the athletes in Birmingham, both Ryan and Megan played in the Youth Games in Oakland California where Ryan competed in basketball and Megan competed in swimming. They remember liking each other back in 2007, but since they were only 14-years-old at the time, nothing came of their teenage romance. That is, until college, when Ryan and Megan, despite attending different colleges, somehow ran into each other. And then somehow, Ryan talked Megan into attending his fraternity formal with him. The rest is history. There’s a lot of “somehows” in their story, right? Those are the best kind. Their wedding day was perfect. The rain, which terrorized (we know, we know! Rain is a good thing… but when it rains on Saturdays in the summer, we call it “terrorizing!”) the Birmingham area for what felt like weeks, held off long enough for us to get some gorgeous outdoor portraits at The Tutwiler Hotel and in Linn Park in downtown Birmingham. Their ceremony at Riverchase United Methodist Church was heartfelt and full of emotion. And then came the reception. From tambourines and glow sticks to delicious food and a fun photo booth, guests had an absolute ball at Haven! The wedding was beautifully planned by Events by Jackie Rowell and HotHouse Design Studio brought the most beautiful blooms – it truly was a night to remember! Megan and Ryan – your friendship is something we’ll never forget. You two are head-over-heels in love, but you also have this firm, solid friendship that is absolutely undeniable. You make us remember how lucky we are that we’re married to our best friend, and we’re so happy for you two and inspired by the love you share! Congratulations, Mr. and Mrs. Carter! Love each and every one of these. You guys are the best! You gave this special couple everything they deserve–images they’ll cherish forever. Thank you for all your hard work. 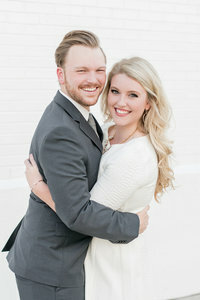 Eric and Jamie captured perfectly the LOVE, Joy and fun of this day! These pictures will be cherished forever! Thank you so much for your great work !